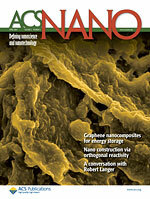 This research was featured on the April 2009 cover of ACS Nano. Enlarged View. Results: High capacity, safe batteries are needed for efficient hybrid or electrical vehicles and for storing and releasing electricity from intermittent power sources like wind turbines and solar panels. That's where an innovation by scientists at Pacific Northwest National Laboratory and Princeton University comes in. The researchers devised a method for building tiny titanium oxide and carbon structures that greatly improve the performance of lithium ion batteries. This new material stores twice as much electricity at high charge/discharge rates as batteries that don't use it. Artwork from this study graces the cover of the current issue of ACS Nano. Why it matters: Many ideas to reduce the nation's oil addiction require an effective battery. For example, plug-in hybrid electrical vehicles need better batteries to drive longer distances. Solar farms only produce electricity when the sun shines. Rechargeable batteries are needed to capture electricity for use on cloudy days. Lithium ion batteries, used in camcorders and other devices, are a popular option, because pound for pound, they are some of the most energetic rechargeable batteries available. However, these batteries need to store more energy. The new titanium oxide structures on carbon sheets could help the batteries hold more energy. Methods: Rechargeable lithium ion batteries, popular in cell phones, camcorders, and other devices, are based on the movement of a lithium ion—a lithium atom minus an electron. The lithium ion begins its journey attached to a metal cylinder or sheet, known as an electrode. The ion pushes off the electrode, moves through a liquid, and attaches itself to an electrode on the other side. The ion's movement generates electricity, powering the battery. The researchers' new material, titanium dioxide crystals attached to a thin carbon sheet called graphene, is incorporated into the battery's negative electrode. The carbon/titanium material greatly improves the ion's ability to move in the electrode to provide a high capacity at high charge/discharge rate. The challenge in designing this material was water. The researchers used water to reduce the cost of manufacturing. The precursors for the titanium dioxide crystals mixed well in water, easily dispersing. However, the graphene is hydrophobic or water fearing. Like oil or grease, it does not mix in water. The solution? The active ingredient in many types of detergents: sodium dodecyl sulfate. This long, chain-like molecule contains a cluster of chemicals, or a head at one end, that mixes well with water. It has a long tail that grabs hold of hydrophobic materials. So, adding sodium dodecyl sulfate allows the graphene to evenly mix in the water with the precursors for the oxide crystals. The sodium dodecyl sulfate not only solves the hydrophobic/hydrophilic incompatibility problem, it also provides a molecular template for the crystals to form and grow. Using the template, the titanium oxides form tiny crystals on the graphene sheets. The researchers studied the resulting materials using transmission electron microscopy at the Department of Energy's EMSL, a national scientific user facility at PNNL. The resulting images showed the desired titanium dioxide crystals formed on the graphene sheets. What's next: This process is being used by PNNL researchers in the Transformational Materials Science Initiative to precisely design other materials to further increase the capacity and stability of batteries. Acknowledgments: The work was funded by Laboratory-Directed Research and Development Program at PNNL and by the Office of Basic Energy Sciences, U.S. Department of Energy. Dr. Aksay acknowledges support from the Defense Advanced Research Projects Agency and Army Research Office/Multidisciplinary University of Research Initiative. Electron microscopy investigations were done in EMSL, a national scientific user facility at PNNL. The research was done by Donghai Wang, Daiwon Choi, Juan Li, Zhenguo Yang, Zimin Nie, Rong Kou, Dehong Hu, Chongmin Wang, Laxmikant V. Saraf, Jiguang Zhang, and Jun Liu at PNNL, and Ilhan Aksay of Princeton University. Reference: Wang D, D Choi, J Li, Z Yang, Z Nie, R Kou, D Hu, C Wang, LV Saraf, J Zhang, IA Aksay, and J Liu. 2009. "Self-Assembled TiO2-Graphene Hybrid Nanostructures for Enhanced Li-Ion Insertion." ACS Nano 3(4):907-914.